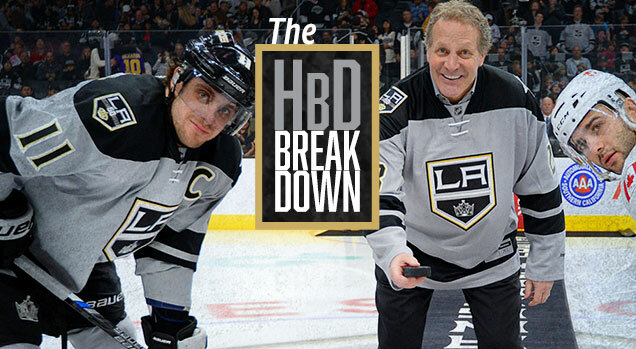 Filed under the Better-Late-Than-Never directory here at HbD, we finally tackle the 50th anniversary jerseys from the LA Kings. Of the four teams that still exist from the 1967 expansion in their original cities (along with Philadelphia, Pittsburgh and St Louis), only the Flyers and Kings created commemorative jerseys, with the Pens and Blues only introducing patches instead (albeit with the Pens bringing back their old jerseys as regulars and the Blues wearing their vintage-inspired Winter Classic jerseys). It’s looking like the Pens and Blues decision was the better route. 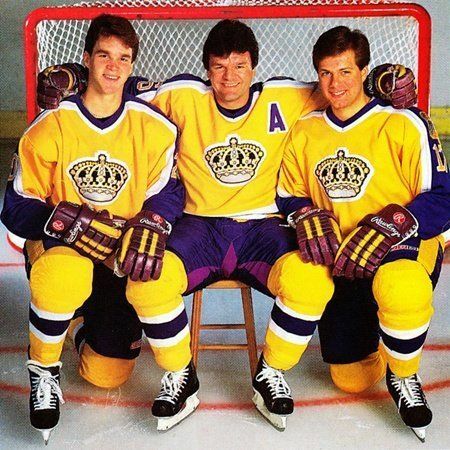 Los Angeles, for their jerseys, eschewed the route of their looking into their vast 50-year history, including the wonderful purple-and-gold jerseys from the ’60s–’80s. Instead, they opted to look waaaaay back to January 2014 for inspiration, and brought back a quasi-rendition of their Stadium Series jerseys – a jersey they wore only once when they got shutout by the Ducks. What a great moment to celebrate! 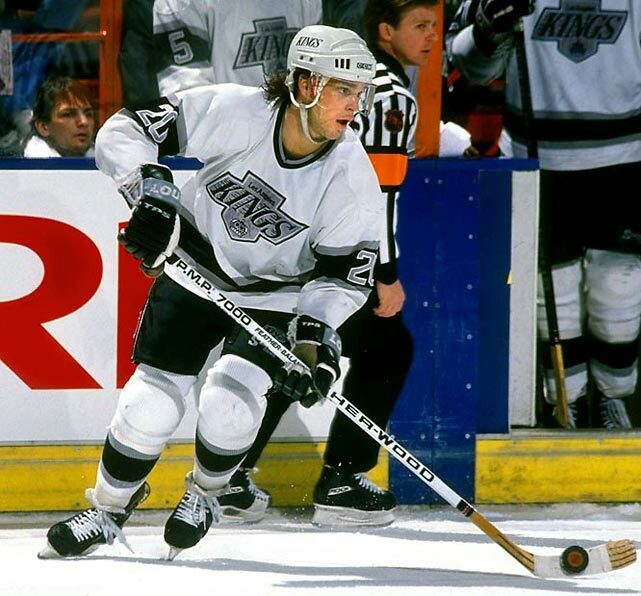 It also has the honour of being the only jersey ever worn in the NHL that’s grey. I mean *cough* silver. And there’s a reason for that. It doesn’t look silver because jersey fabrics have no metallic qualities to it. Rather, it just looks…dirty. 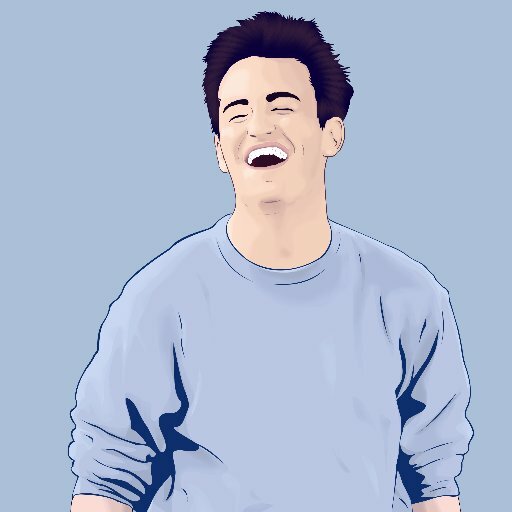 You know those really comfortable tighty-whities that you’ve had forever and just don’t have that same level of whiteness anymore? Maybe they found their way into the wash with some dark clothes? It’s almost like they’ve turned into a light grey instead? That’s these jerseys. Except with black and gold stripes along the top. Or, they’re like a grey cloud hanging up there in an otherwise blue sky. It’s just kind of depressing. 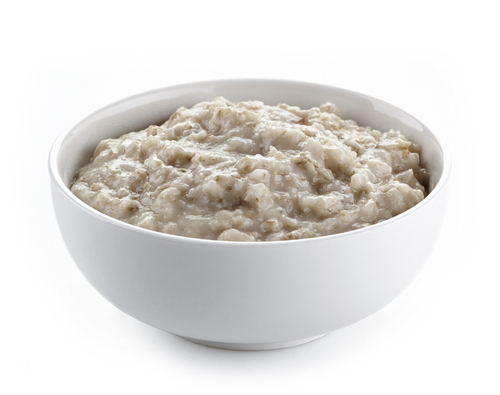 Or, they’re like oatmeal that just doesn’t look right. Or, their architectural equivalent is a parkade. Where the jersey does excel is in the black striping. Simple, strong, slightly intimidating, and very much on-brand for the Kings. The two black stripes on the sleeves represent their two Cup wins in 2012 and 2014, while the single waist stripe is an homage to their original purple-and-gold jerseys from 1967–71. The black shoulder yokes balance it all out, as well as being reminiscent of their purple-and-black years from the late-’90s to early-’10s, really the only time in their history they’ve worn these types of shoulder yokes regularly. And it makes the shoulder patches (both their 50th anniversary patch and the All-Star Game patch) stand out really nicely. No complaints about these at all. It has an authentically historical look while still complimenting modern elements like the typography and grey. Yes, the black does help the grey. But it’s still grey (see above). And then there’s the gold. I think the thing that confounds me is why they wanted to go with throwing gold in with black, white and silver when they already have a gorgeous jersey that has more gold in it than Scrooge McDuck’s vault. 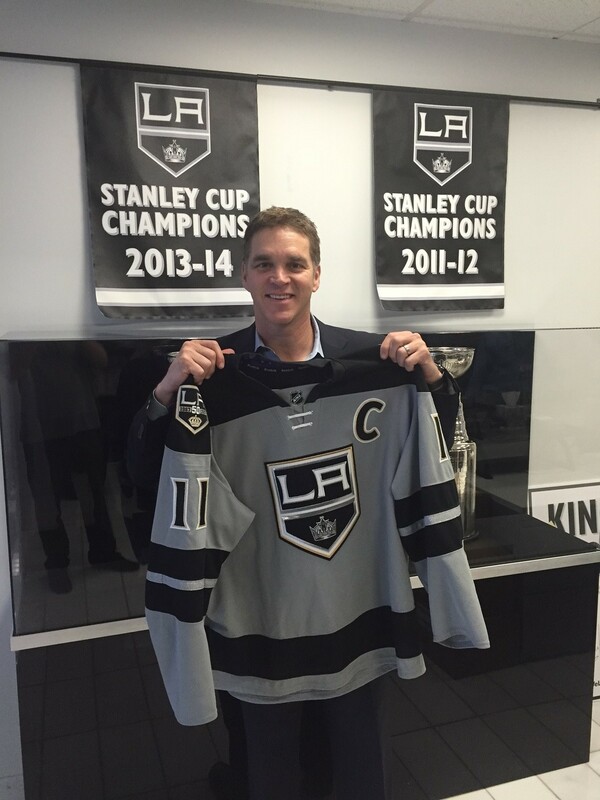 Well, sources tell me you can blame one person for that…Mr LA Kings himself, Luc Robitaille. Apparently, Luc is a huge fan of the black/silver colour scheme. Although he wore the purple-and-gold early in his career, his preference has always been for the Gretzky-era jerseys, which were his best years as a King. So, he’s sticking to it, and instead of celebrating with a vintage gold-inspired jersey from the team’s past, we’re given another metallic colour thrown in with silver. 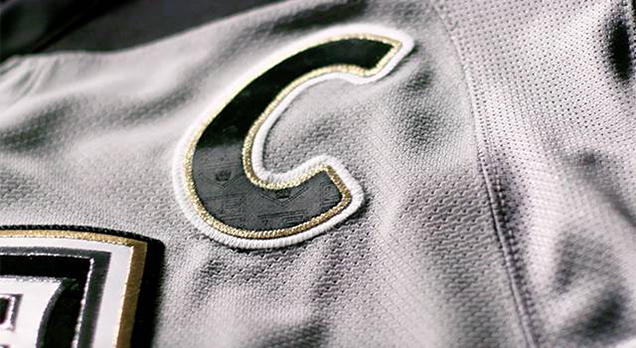 To be fair, when used on the embroidery, the gold (and silver in the logo) retains it’s metallic, shimmering qualities. But it makes little sense have both gold and silver in the same jersey, as they start to compete with each other for prominence, with neither one winning. 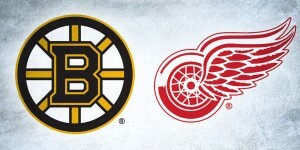 There are better ways, like switch the silver with gold on any of their black/white jerseys. Or any of their purple/black jerseys. 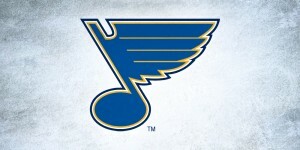 They did exactly that for the logo on these jerseys, so I’d like them to have done that with the rest of it. Just stay away from the Stadium Series jerseys, please. They weren’t good. 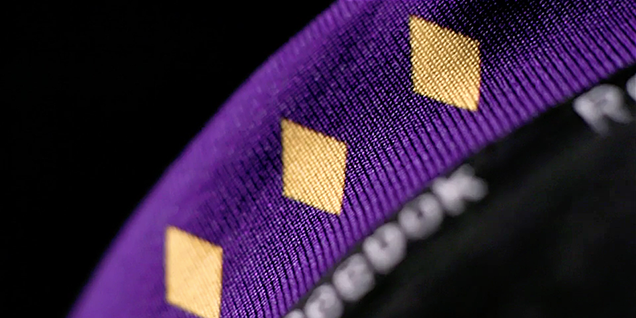 There are some other subtle elements added to the jersey as well, like the inclusion of five golden diamonds on a purple band on the inside of the colour (the most purple Luc would allow? ), representing the five decades of LA Kings hockey. A nice touch! Oh, and they brought absolutely no elements in from those Burger King jerseys, which are probably in the top-3 worst jerseys to ever have been worn in the league. So, a big plus for ignoring them completely here. Like Philadelphia before them, there was too much focus on combining golden elements into a jersey in ways that just didn’t work. 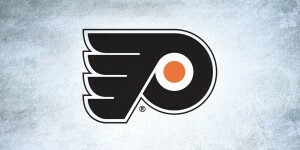 For the Flyers, it was mixing orange and beige together. For the Kings, it’s mixing gold and silver together, and then throwing it all on a dirty, drab, depressing grey jersey – all while avoiding the most obvious path: working with the beautiful golden jerseys from their past. It seems that silvers, golds, or any other “metallics”, are hard to get right in large applications on a uniform. A true metallic fabric might look cheesy or gimmicky. A flat colour attempt at silver just looks grey, and golds tend to look beige-y. Metallics can look great embroidered. 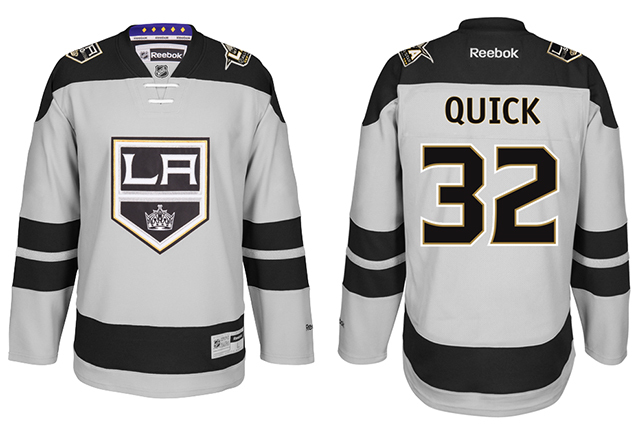 These LA sweaters would actually make a pretty nice fan sweater, but yeah, they look a little flat on the white ice. I thought that the dark grey and yellow-gold of the Nashville All-Star sweaters looked MUCH better. Apparently, Adidas has developed a “silver-mesh” material for the “Golden Knights”…should be interesting. Looking forward to seeing that silver-mesh material, but I’m worried it’s going to be pretty gimmicky.